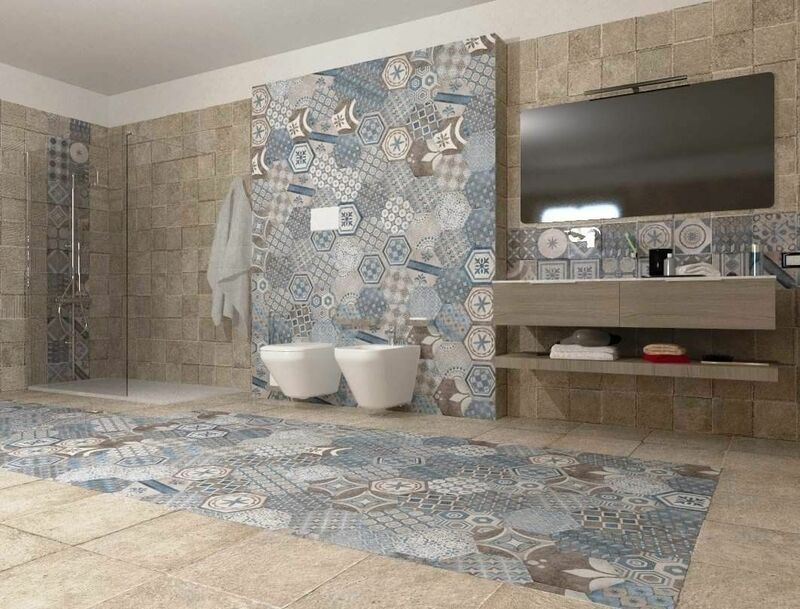 Bathroom is a great place to play with tiles pattern and colors. 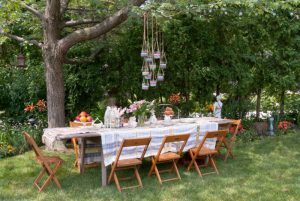 You can choose many kinds of tiles and you can arrange it the way you please. 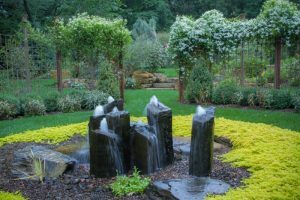 The more creative, the stronger the impression would leave and you will always feel glad whenever you come to the bathroom. 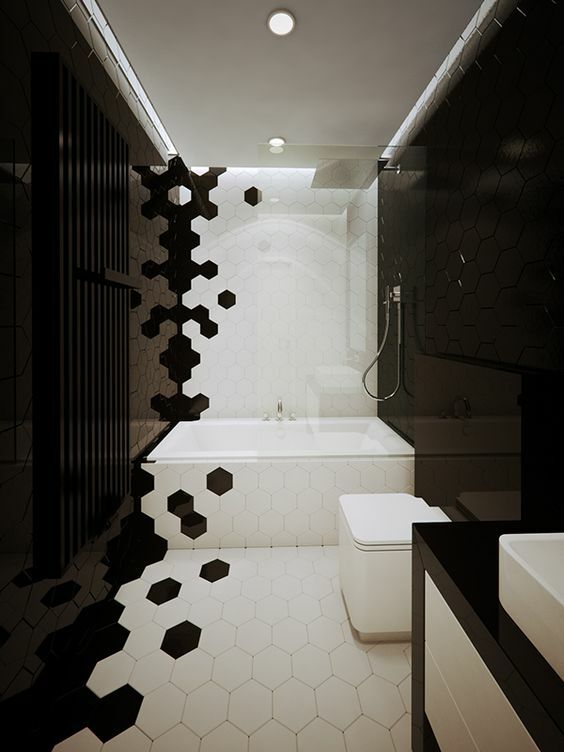 If you love the shape and vibe hexagonal tiles can give you, you will love to see the bathrooms below. 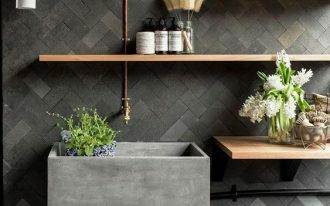 In this bathroom, a simple yet interesting arrangement is created by grey, beige, and black hexagonal tiles on the floor and wall. 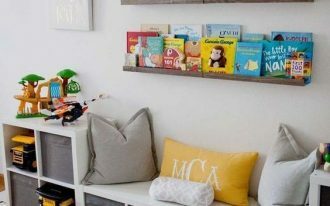 It creates a simple and modern look in the bathroom. 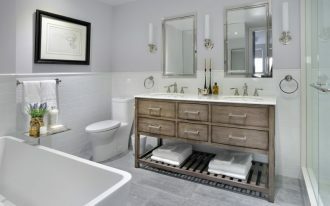 Completed with the wooden floating cabinet that is matched by wooden look tub. Another thing that will make hexagonal tiles on the bathroom looks pretty is the marble ones. With marble, the texture and pattern on the tiles would be interesting. And that is why it makes a great sight. 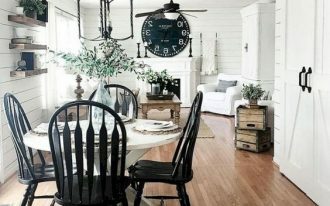 Arranged beautifully like this one here would make the bathroom looks unique and calm. 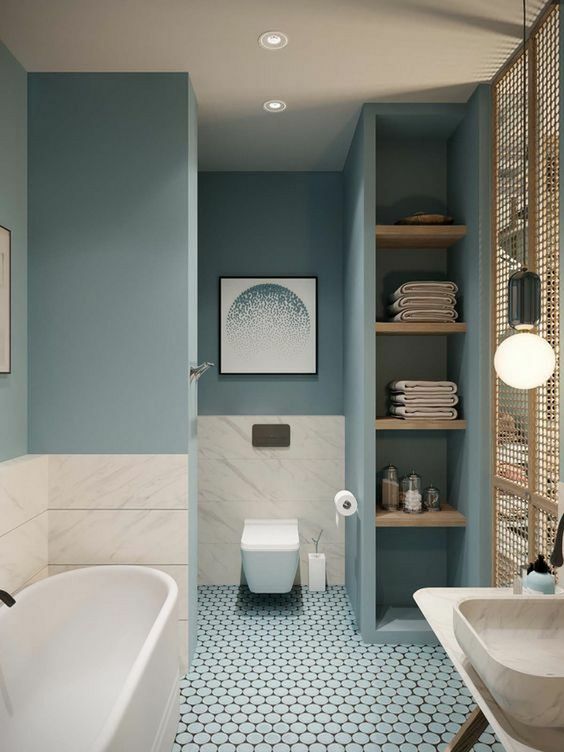 This one here lets the bathroom have three sides with simple yet amazing partition. The left wall is with black hexagonal tiles, the middle is with white hexagonal tiles on the wall and floor, and the right wall is with black hexagonal tiles that some of the tiles are also planted on the white side. This arrangement alone makes the bathroom looks amazing. 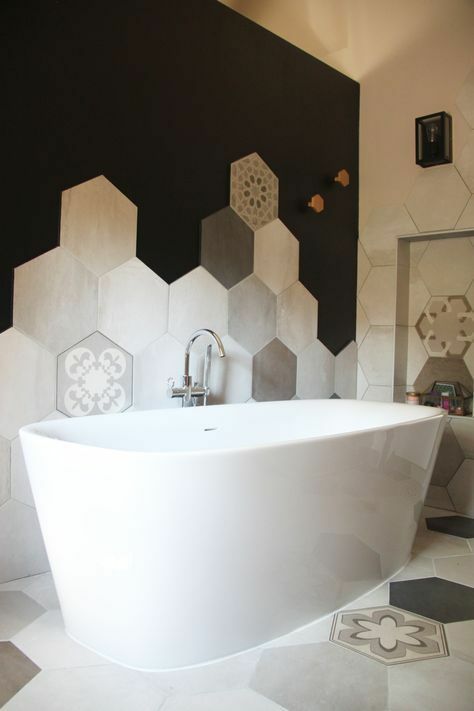 If you love to play simple but with some interesting touch, you will love to put hexagonal tiles on one part of the bathroom like a bathtub area here. 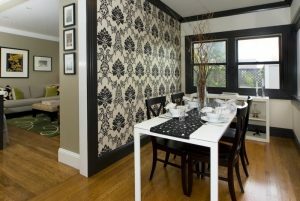 With a purposed corner, this one put a unique sight with black and white colored with hexagonal tiles. Another interesting sight is seen in this bathroom. 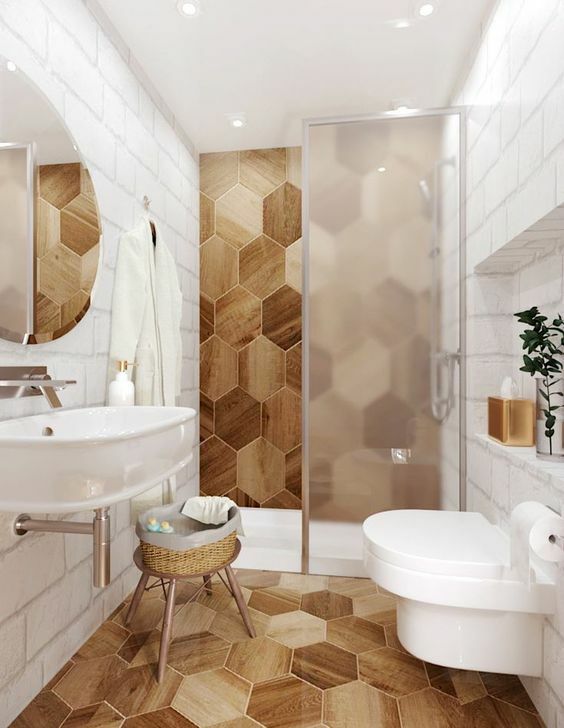 With white subway wall tiles, the bathroom is also decorated with wooden hexagonal tiles on one side and on the floor. 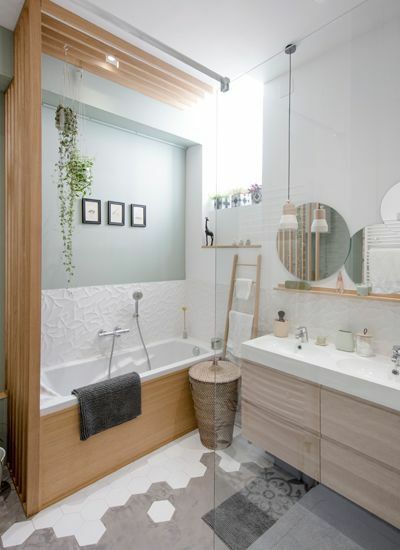 Completed with white tub, toilet and floating sink, the bathroom look neutrally beautiful. 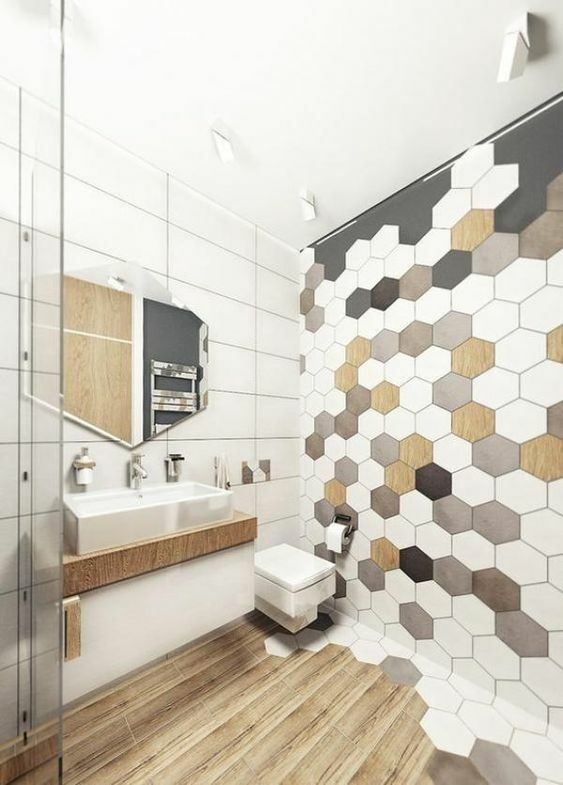 In this bathroom, the modern hexagonal wall is decorated one side of the wall and it is arranged in interesting way with white, black, and brown tiles together not only on the wall but also on very small part of the floor that. 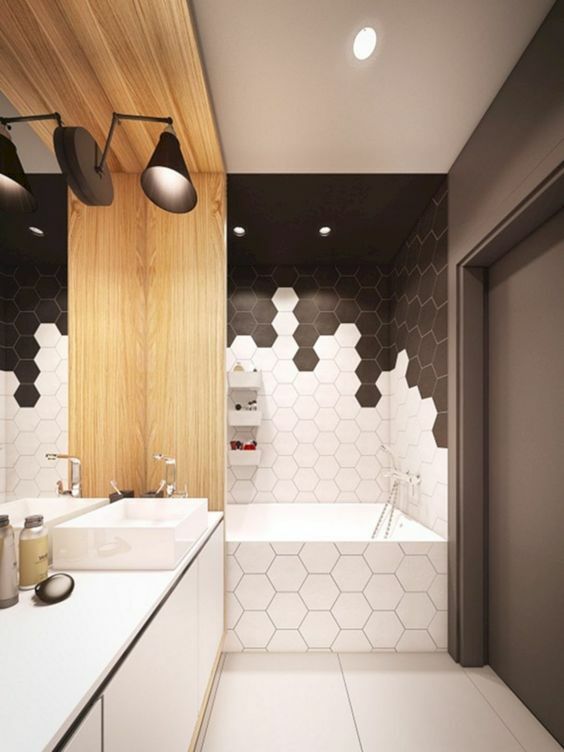 If you only want to add accent like this bathroom, adding hexagonal tiles on a small part of the floor is quite interesting. 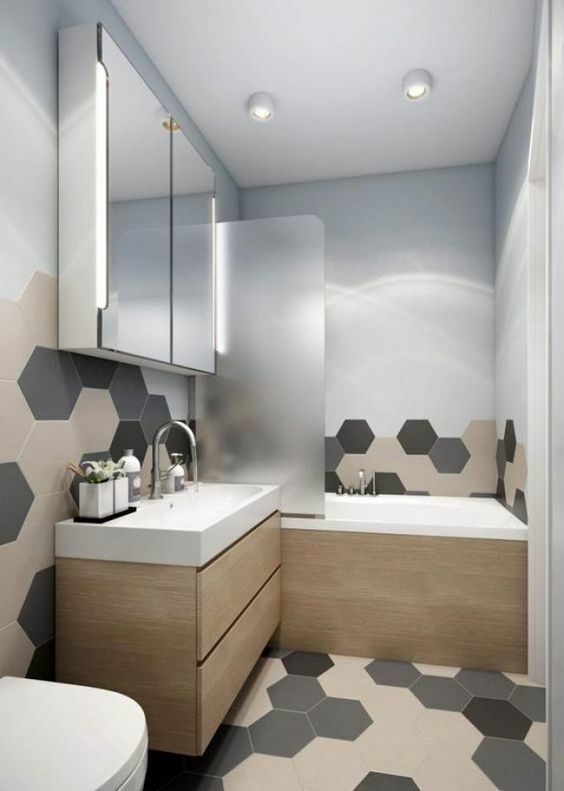 This one here matches the white hexagonal tiles on the floor with the white wall and sink so that it looks like part of it’s coloring. In this bathroom, the brown tiles look so calming and neutral. With some differences here and there, the bathroom becomes even more interesting. 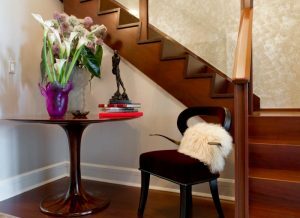 The floating sink an wooden stool matches the look perfectly. Here is another bathroom with hexagonal accent. 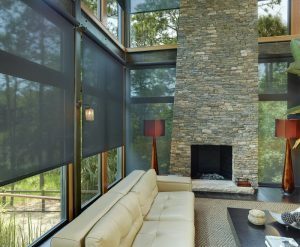 Installed on the wall on three different places (shower, toilet, backsplash) and the floor, it gives the bathroom an interesting continuity. While the previous one shows an interesting hexagonal tiles, this one here presents a more interesting tiny ones covering the floor.